Is Wisconsin the new public-golf capital of America? 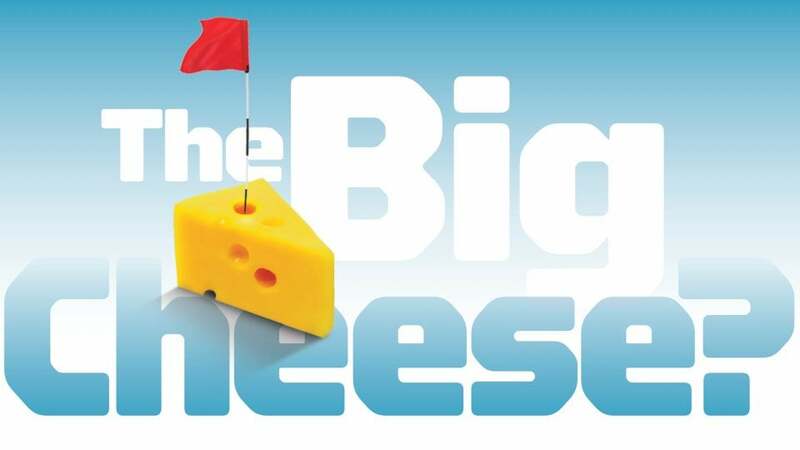 The big cheese: Is Wisconsin the new public-golf capital of America? Okay, it doesn’t have Pebble Beach. Or any beach at all, really. So what does Wisconsin have? Major-championship chops, enough sand dunes to give Shivas Irons the shivers and, most importantly, a sweet spot smack in the middle of the country. The American golf meccas we celebrate most tend to be coastal, but for a golfer in the Carolinas, getting to Bandon Dunes is a bear. Play most of your loops at Chambers Bay? Really, when will you get to Harbour Town? For golfers in pursuit of opposite-coast adventures, these cross-country routes are a trek. Arduous travel probably wasn’t what Herb Kohler had in mind when, 30 years ago, he built Blackwolf Run in his backyard in Kohler, Wisconsin. That course inspired another: Kohler’s championship stunner, Whistling Straits. And a third: his Irish Course. Kohler’s runaway Wisconsin-golf success no doubt influenced the birth of Erin Hills. Now, Mike Keiser, the low-key entrepreneur behind Oregon’s Bandon Dunes, has planted a stake in the Badger State. Keiser’s aptly named Sand Valley, a modest drive from the Kohler courses and Erin Hills, opened last month. Sand. It’s the crucial foundation of almost every great golf course. The central location of Wisconsin’s exploding collection of world-class tracks is a foundation of another sort: a home for great golf in America, not on its far-flung coasts, but right in the country's heartland. Backstory: Whistling Straits put Wisconsin golf on the map. The brainchild of bathroom-fixture magnate Herb Kohler, this awe-inducing creation bordering Lake Michigan has hosted PGA Championships in 2004 (winner: Vijay Singh), 2010 (Martin Kaymer) and 2015 (Jason Day), and will be the site of the 2020 Ryder Cup. Why you should play it: Famed for its 967 bunkers, the Straits course is penal but oh...so...pretty. Its out-and-back routing means you rarely lose sight of the Great Lake, and the winds coming off the water keep things cool—even when you’re losing yours. (Those damn bunkers!) Waiting in the wings on your Kohler excursion are Blackwolf Run (the River course, ranked 19 on our Top 100 Courses You Can Play list) and the Irish Course (rank: 79). Backstory: Read Josh Sens' in-depth reporting on the history of Erin Hills here. Why you should play it: In the past two decades, the USGA, justifiably enamored of gated nirvanas like Merion and Medinah, has made an effort to bring our national championship to a few more public venues. Still, there are only a handful of accessible tracks that boast U.S. Open credentials. Erin is now one of them. 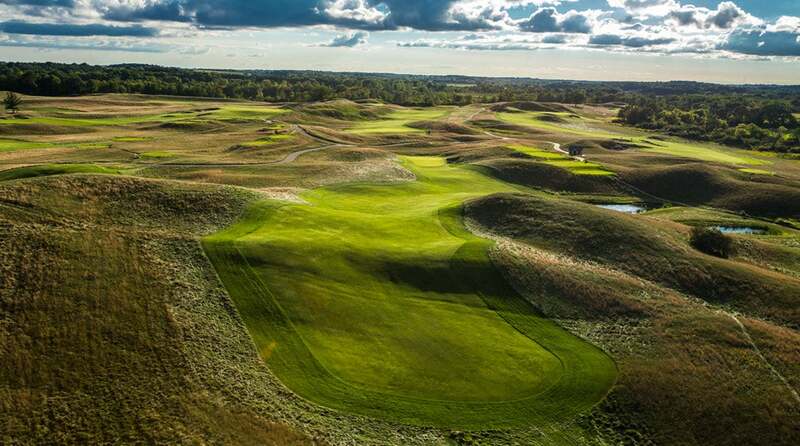 Its beautiful, fescue-lined 650 acres make a perfect (but long) canvas, and epitomize the trend of minimalist modernism. Backstory: After masterminding successful remote ventures at Bandon Dunes and Cabot Links, it’s likely that building a destination course in the middle of rural Wisconsin wasn't so daunting to Mike Keiser. Billed as bringing "the joy of heathland golf to America’s heartland,” Sand Valley takes cues from famed no-frills U.K. designs like Sunningdale and Walton Heath. The Coore-Crenshaw course will be joined next year by a second 18, Mammoth Dunes, conjured up by Gamble Sands and Bandon Dunes design whiz David McLay Kidd. Why you should play it: Think Bandon magnificence without the gale-force winds and buckets of rain. Besides, when was the last time Keiser—or Coore and Crenshaw, for that matter—led any golfer astray? This is the It course of 2017. Top 100 Courses You Can Play ranking: A shoo-in for our 2018 list.